[PDF] Basic Grammar in Use, Students' Book With Answers: Self-study Reference and Practice for Students of North American English | Free eBooks Download - EBOOKEE! 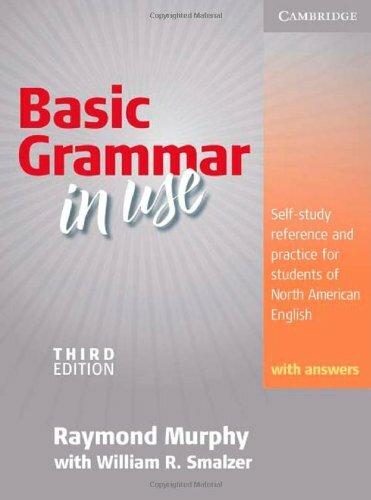 Description: Basic Grammar in Use, Third edition, is the lower-level text in the Grammar in Use series. It focuses on the fundamental grammar structures normally taught in basic or introductory courses. Each of the 116 units in the Student's Book is presented in a two-page spread, with simple explanations on the left-hand page and practice exercises to check understanding on the right. This edition, without answers, is ideal for classroom use. No comments for "[PDF] Basic Grammar in Use, Students' Book With Answers: Self-study Reference and Practice for Students of North American English".